A number of us met to discuss all things DX/contesting. This time the meeting was held at Adam VE4SN’s QTH. He’s an established ham with a knack for the DX and it shows – only missing a 1 (or 2?) prefixes. 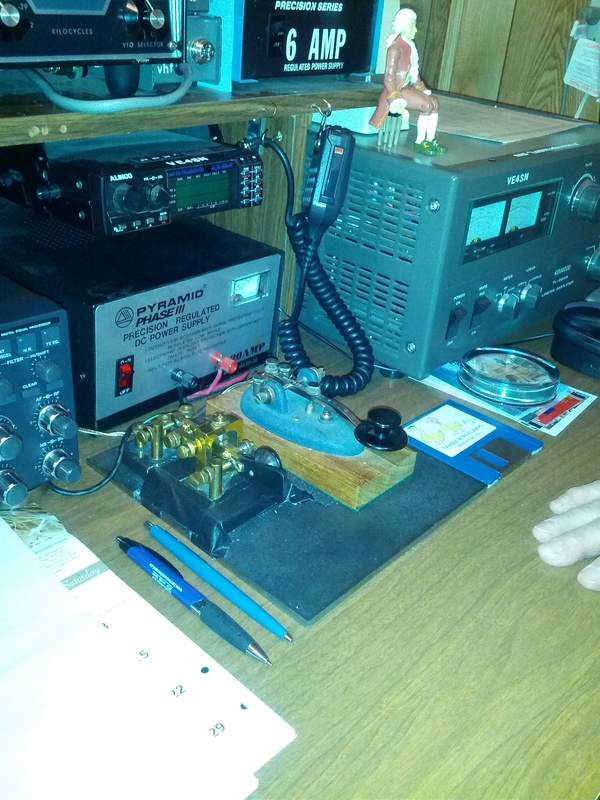 We heard of our leader’s DXpedition to 4W land. A local member will also be taking on the VE4RAC callsign for the RAC Winter Contest coming up just after Christmas. Will be another interesting contest. Adam is also an accomplished painter – having dabbled in that for a while and proudly showcased some of his paintings afterwards. 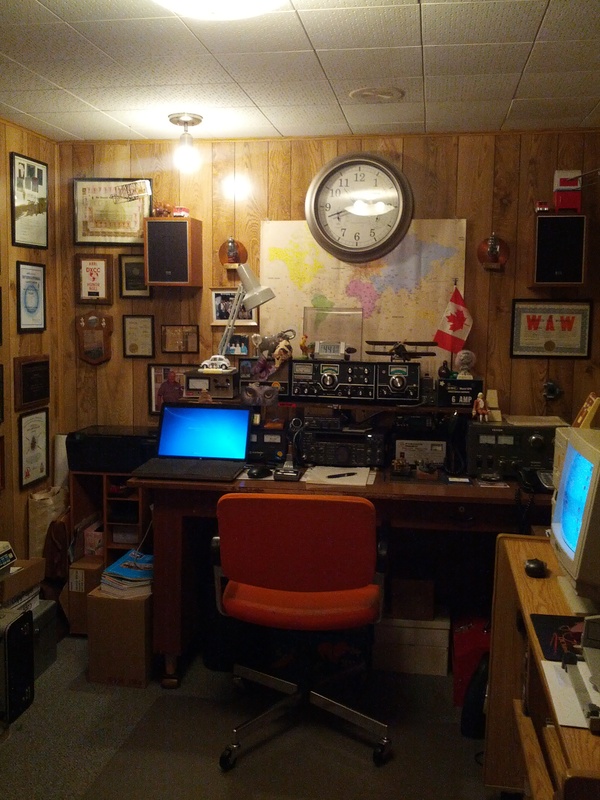 A rather clean ham-shack if you ask me! A rather interesting piece of equipment he showed off — a key used from a WWII bomber! Impressive to have and still use.